There is always a bit of a danger with a modern band looking back to the early years of a movement that there is going to be too much focus on replicating the sound of those influential records rather than the actual songwriting. Fortunately that isn't the case with Buffalo, NY post-punk quartet Orations. 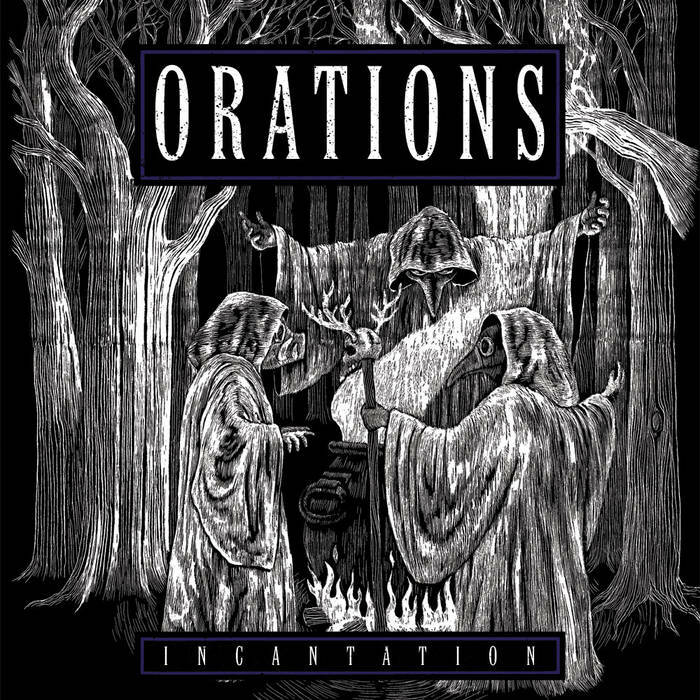 Their new EP 'Incantation' owes a heavy debt to the likes of Joy Division, The Smiths, The Cure and The Chameleons, but it is fresh, original and unique. Those Mancunian bass lines and near psychedelic jangling guitars complete with a vocal performance reminiscent of early Siouxsie Sioux come together to create something very familiar, yet the band have the songwriting skills to make it their own. Opening with 'Curses' The Cure meets The Smiths melancholic pop-friendly post-punk is sublime in its execution and does a great job at drawing you in deeper. 'Circus Of Currents' then hits you hard with a Peter Hook bass line and a Chameleons style raucous guitar line to show off the band's harder edge. 'Nosedive' then goes deeper into a much darker Joy Division meets Bauhaus direction propelled by a solid bass line and atmospheric scratchy guitars to create a wonderful proto-gothic anthem. The EP is then brought to a close by 'Strangely Safe' which returns to the sublimely dark pop leanings of the opener to round things off in a very satisfying way. In terms of production it is evident that in terms of guitar and bass tones the band have paid close attention to those influential records, but the overall product still sounds nice and modern in its execution. This is a very satisfying EP and those who like their post-punk to be as strong as those early records will find this release to be a real treat. 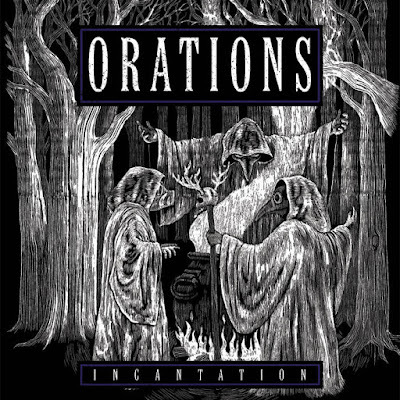 Orations definitely have the skills to carve their own path, and hopefully a full-length release will solidify their presence in the scene.